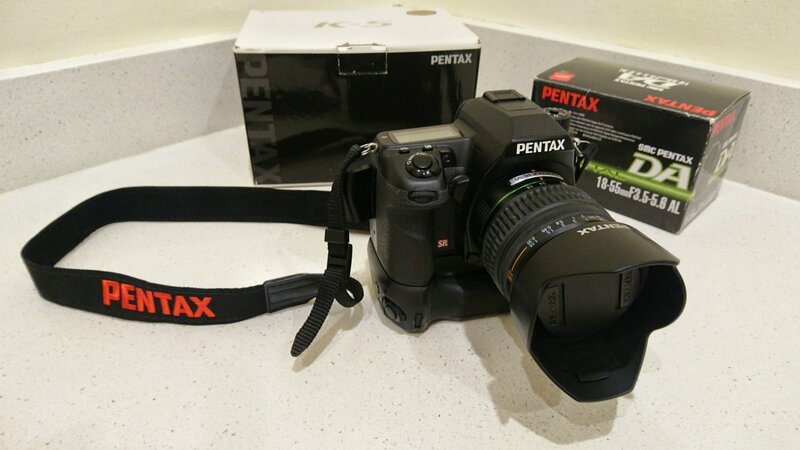 Pentax K5 16.3MP DSLR Camera in excellent condition (currently just 7,258 shutter actuations). 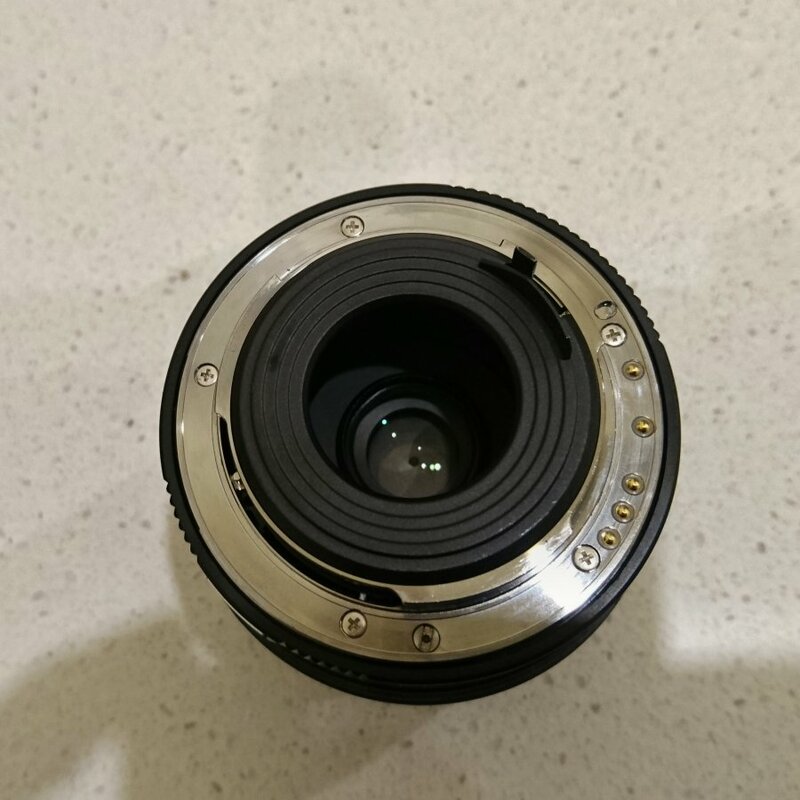 I bought the camera with DBG4 grip from a Toronto based owner (and forum member - can't find his user name now though) in late 2012. He had 2 and was selling one. It arrived in perfect condition and I was thrilled with the performance (I was upgrading from a K10D). It was my go to camera for about 6 months and I seriously loved the images produced with my DA18-250mm lens among others. Late 2013, along came my silver K3 and I became a somewhat conflicted photographer. The K3 is excellent also and I would never look back, but I have alwats been reluctant to part with the K5, thinking up until now that I may use it a bit more. Reality however, and an empty pocket has now set in as I have just bought a beautiful K1 and assorted accessories. 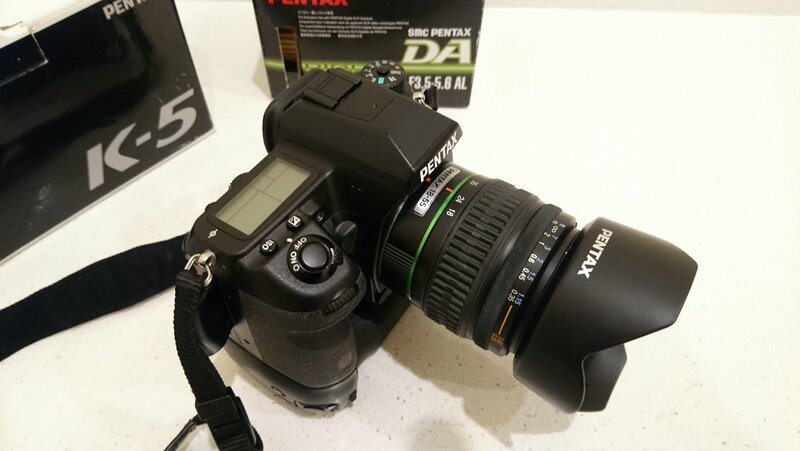 The Pentax K-5 DSLR was developed using the Pentax K-7 as its base; the K-5 inherits the user-friendly operation, array of advanced features and compact, lightweight body of its predecessor, yet it is more resourceful with its high-speed, low-noise CMOS image sensor and high-performance PRIME II imaging engine. The continuous shooting mode has a maximum speed of approximately seven images per second. It also offers a sensitivity range between ISO 80 and ISO 51200 (when expanded via a custom function) and Full HD-proportion movie recording at 1920 x 1080 pixels. Other improvements over the K-7 are a faster autofocusing speed and an upgraded HDR (High Dynamic Range) function now usable in hand-held shooting. The K-5 features a new-generation, wide-frame SAFOX IX+ autofocus system with 11 sensor points (with nine cross-type sensors positioned in the middle). The AF system has completely redesigned optics, and factors the light source at the time of shooting into its calculations so as to improve the accuracy of autofocus operation. 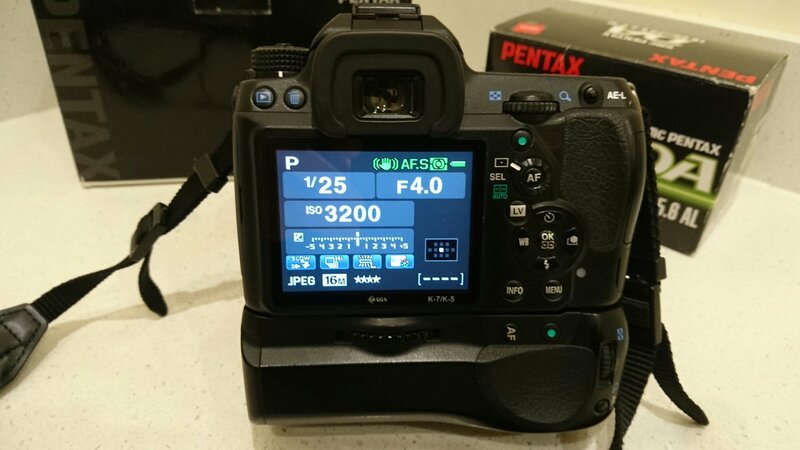 It also offers a choice of shutter-release options - between focus priority and release priority in the AF.S (single) advance mode, or between focus priority and speed priority in the AF.C (continuous) advance mode. The K-5 sensor is estimated to be 2-3 stops more sensitive than that of its predecessor, the K-7, meaning that a K-5 photo taken at ISO 6400 will look about as grainy than one taken at ISO 800 with the K-7. 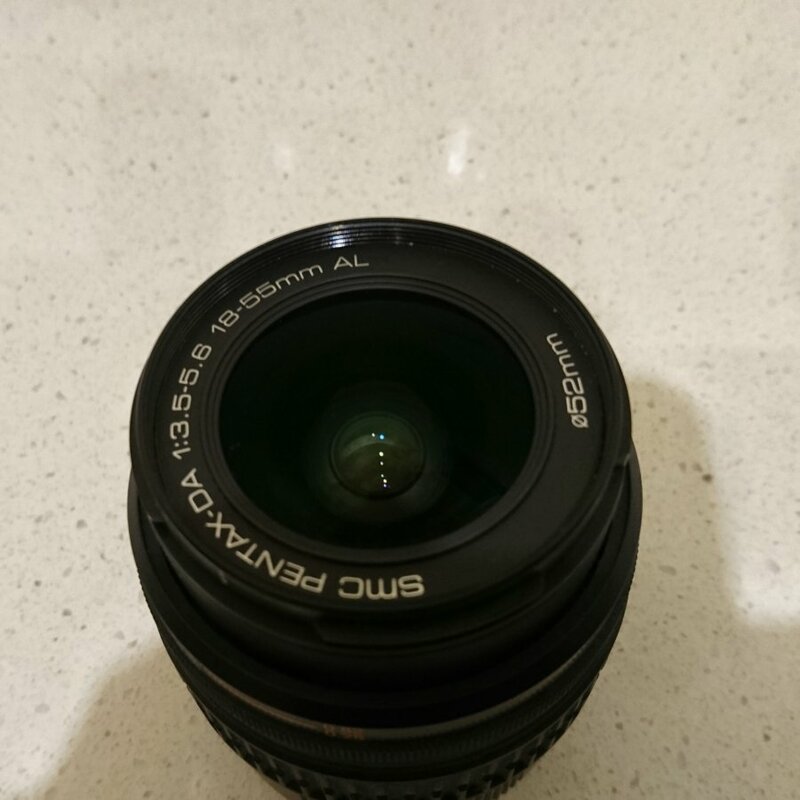 SMC Pentax DA 18-55mm F3.5-5.6 AL Zoom Lens, also lightly used, in excellent condition and free from scratches, dust, fungus and other defects etc. I would prefer to sell the combination as a package, but might be prepared to sell the body and grip separately. Ask for a price. I am also prepared to ship worldwide, subject to pricing for the destination and shipping choice. Return accepted only if not as described and immediate contact is made with me upon receipt of item. Buyer to pay any return shipping. Last edited by frankoz; 07-09-2016 at 06:51 PM. How much would you sell just the vertical grip for?